Well I did stop trading real money after my last post, since I wasn't feeling great. But I couldn't resist taking a couple more trades at the open when I saw some really nice setups forming. Can't win them all. At least it proves I was right about the trades, even if it wasn't for real money this time. Tell me - whats the shown time-zone your trades are done in? + the second after the open ? I am GMT -0600 (Central). 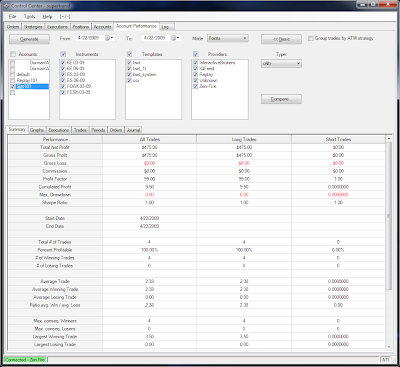 The first part was live trades (not sim) overnight from midnight to about 7am. The second post (this post) was after I already acknowledged I wasn't feeling great, and shouldn't keep trading cash when not feeling good. I was doing things around the house then stepped back in @ the cash open (8:30 my time), and pulled off a couple of trades in sim mode only.